This partnership represents a major milestone for RGPC. The firm currently provides primary and backup third party dispatching for 10 shortline railroads traversing more than 2,000 miles of track, all from its Fort Worth headquarters. 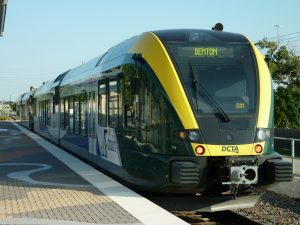 “The addition of DCTA’s commuter line provides a nice complement to our growing portfolio of dispatching partnerships,” said Robert Bach, president. In addition to dispatching services, RGPC will support First and DCTA with extensive maintenance of way (MOW) activities.